PowerCore units provide safe and reliable energy storage. PowerCores can be used independantly or in conjunction with the PowerBrain to efficiently serve as an energy storage unit. The PowerCore is a controlled energy storage module applying a revolutionary battery technology. It is capable to store 720Wh of electric energy. Multiple pieces can be connected parallel to create large energy storage banks. Each PowerCore module regulates its own charge and discharge independently through its ownmicroprocessor control unit. It results in an exceptionally reliable and maintenance free system. 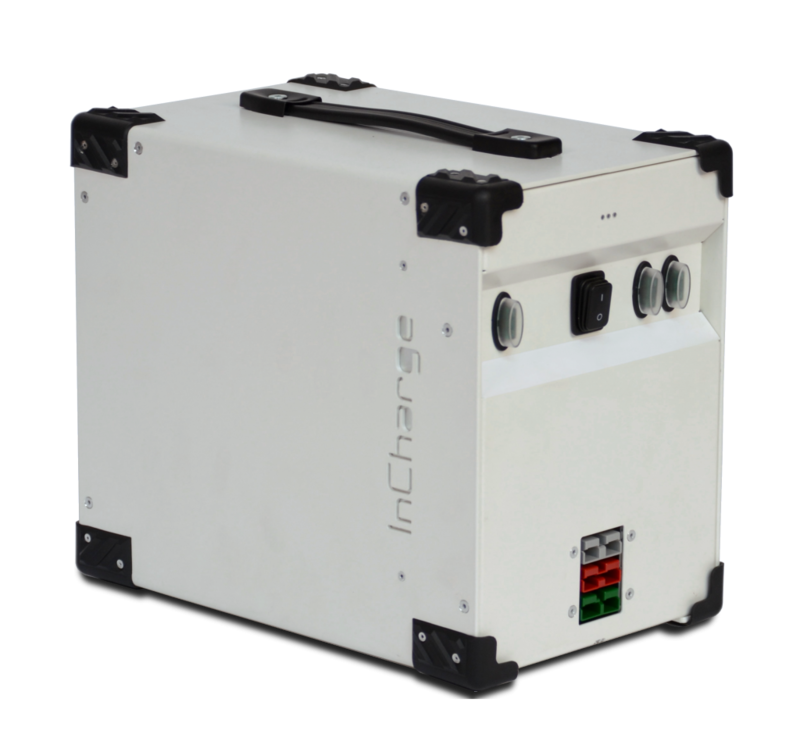 The PowerCore modules can be charged by either our SolarCases or by any conventional power supply such as a generator, windmill or simply from the grid. Our PowerBrain (inverter/charger) modules are used in between the PowerCore and the power supply in order to deliver the right type of power. You can use the PowerCore as a stand-alone 12V power source or through our PowerBrain as a 230V AC power source. This way you can power everything from small 12V devices such as laptops and communication devices to any other equipment that requires 230V. Even if you use the PowerCore as part of a battery bank you can simply pick one or more out of the group and take it with you to an other location. Whenever you’re done, you simply put the used modules back to the battery bank and in the next charge cycle they will equalize themselves with the remaining units. Forget all the negative thoughts that you might have heard about conventional battery systems! It can be totally discharged and left uncharged for a longer period without problems. It uses environmental friendly neutral electrolytes instead of acids and it has a 99% recycle rate. Cycle life at 20°C: 1600-3600 charge/discharge cycles (80%-40% DOD) ! Cycle life at permanent 40°C: 1250-3000 charge/discharge cycles (80%-40% DOD) ! 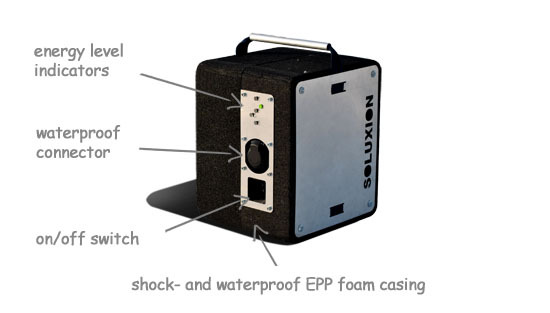 Extreme temperature tolerance: -40°C to 60°C ! Extreme low self discharge: 20% self discharge / year ! Tolerant even to 100% discharge!